Staphylococcus aureus bacteremia (SAB) is a fatal disease. We aimed to describe risk factors for long-term mortality with SAB. We analyzed data from a retrospectively collected database including 1,692 patients with SAB. We considered variables of infection and background conditions for the analysis of long-term survival. The Kaplan–Meier procedure was used for analysis of long-term survival. Variables significantly associated with mortality were analyzed using a Cox regression model. We included 1,692 patients in the analysis. Patients were followed for up to 22 years. Within one year, 62% of patients died and within 5 years 72% died. A total of 82% of patients aged 65 years and older died within 5 years. Independent predictors of long-term mortality were older age (Hazard ratio 1.029, 95% confidence interval 1.022–1.036), female gender (HR 1.302, 95% CI 1.118–1.517), pneumonia or primary/ unknown source of infection (HR 1.441, 95% CI 1.230–1.689), dementia (HR 1.234, 95% CI 1.004–1.516), higher Charlson score (HR 1.155, 95% CI 1.115–1.196), shock at onset (HR 1.776, 95% CI 1.430–2.207) and arrival to hospitalization from an institution (HR 1.319, 95% CI 1.095–1.563). Long-term survival of patients older than 65 years and of women with SAB is severely curtailed. The current analysis was supported in part by a grant from the Israeli Ministry of Science, Technology and Space GA 3–12075. 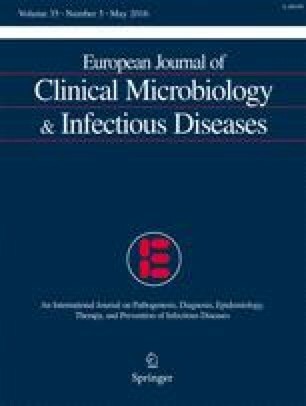 MP and LL are members of the European Society of Clinical Microbiology and Infectious Diseases—Study Group for Infections in the Elderly (ESGIE), and they would like to thank ESGIE members for their stimulating support to write this manuscript. No informed consent was required for this retrospective study.